The OXO Bulb Planter is just the gadget you need when it comes to planting bulbs and has been designed for easy use. Simply by pushing the planter into the soil and twisting, you can make a hole that is ideal for planting bulbs. The quick release handle opens the body of the planter, releasing the plug of soil you have just removed – ready for placing on top of your newly planted bulb(s). Available now for only £10.50 at The Recycle Works. An ideal present! Posted by gardeningworks in Going 'Green'! 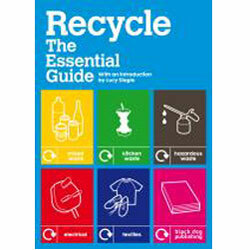 Recycle – The Essential Guide is the indispensable handbook to recycling today. With vibrant visuals and a clear, accessible layout, the book is an invaluable resource that tackles everything from the urgency of resource depletion on a global scale to what the individual reader can do to reduce waste in their own home. Beginning with a witty, thought provoking introduction by renowned Observer journalist, Lucy Siegle, Recycle includes detailed sections on recyclable materials and what the individual reader can do to facilitate the recycling process. Case studies from all over the world pay tribute to exceptionally successful or innovative approaches to recycling and a consumer directory of eco designers proves that ethical living and trendiness don’t necessarily contradict each other. Recycle also includes a comprehensive international directory, that points readers in the direction of organisations and charities that can help them to take further steps towards waste reduction. With natural resources dwindling and oil prices rocketing, it’s time to wake up and smell the rubbish. It’s time to take responsibility for our waste. Recycle is the essential guide for all those who want to take that journey but aren’t sure where to start. Last weekend I planted my winter vegetables. 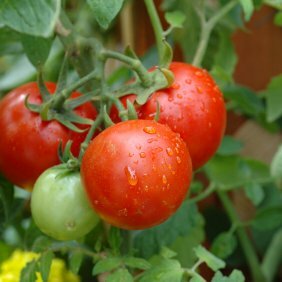 Quite exciting and really puts the truth into the GYO 5 a day for the whole year round. Raised Beds are brilliant as they work in the gardener’s favour every time. Soil is usually stone free and always well drained and loose. The compost does not get compacted and access to the beds is straight forward and kind on the back. You are in control. It is worth remembering that winter vegetables tend to be root vegetables that may need a deep configuration of Raised Bed. Our Vegetable Compost has been attracted many so many compliments. One stop shopping is available right here! We have a constant succession of customers wanting to fill some very odd shaped spaces for growing their vegetables. As you know we are all in favour of making the most of every little bit of space you have. So try us. We like a challenge! Also do take a look at the Spare parts to make up your own conformations. I’m a huge fan of freshly made soups. Like a lot of traditional cooking, soup making is so easy, but is often forgotten in these days of convenience. …But as soon as you’ve tried your own you won’t ever want to open another tin. I like to make a huge pan of soup on a Sunday evening and then the family help themselves for a healthy lunch or after school snack. With a glut of tomatoes just around the corner, this recipe produces a lovely creamy soup, full of flavour. …But don’t forget the bay leaf as it really adds a little something to the mix. Serve with crusty bread or my children’s favourite – cheese on toast croutons! …And it’s always worth remembering that food tastes 100 times better if you grow your own! For all your Grow Your Own needs visit our website at www.recycleworks .co.uk. There is everything from raised beds, to compost bins, tools and books. Gooseberries are at their seasonal best round about now and this recipe is totally delicious and very indulgent. 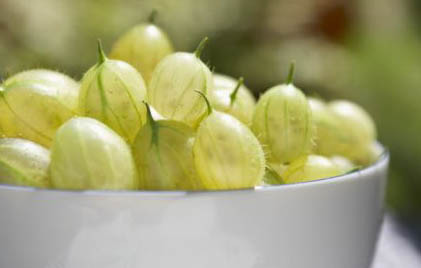 The perfect end to a dinner party or a little treat to enjoy on a warm day, it has to be one of the most yummy ways to eat gooseberries. If you want to make a slightly healthier version some of the cream can be substituted with creme friache without loosing any of the creamy flavour. …And I have to confess that when running short of time I have cooked it with the gooseberry tails still on as the whole mixture is sieved at the end. ….And to pick soft fruit in double-quick time have a look at our handy and very cleverly designed Berry Pickers.